• Access via Allersberg until 6 a.m. the latest. • Access from Roth via Eckersmühlen towards Hilpoltstein. At the traffic light in Hilpoltstein turn left, after about 100 m turn left again (Allersberger Straße). (via a part of the bike course). Suitable for athletes and spectators. • P7 Parking Garage Münchner Straße (opposite of cemetery), please pay attention to the opening hours! Please follow the signage and use the parking spaces in the business parks I, II, III and at the Roth Landing Stage. • Solar Hill can be reached within a 25 min. walk from the swim start. 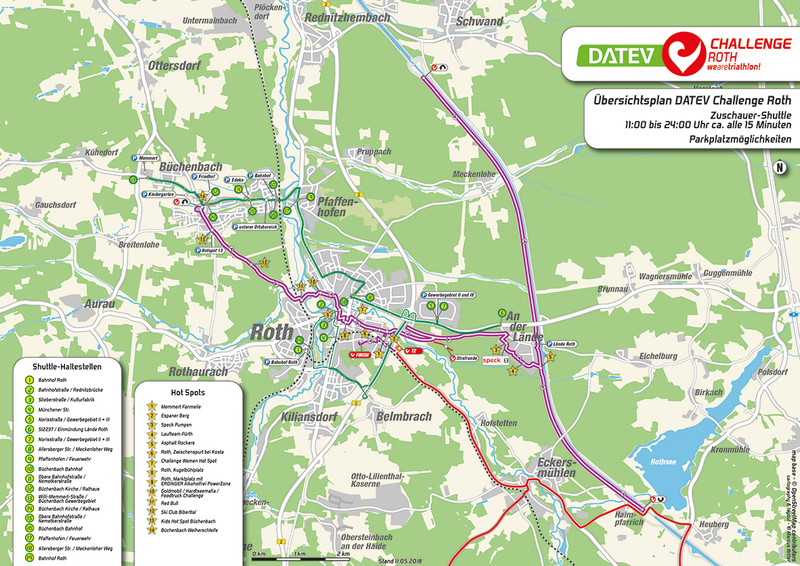 Roth can be reached with several trains; for detailed information please call the info-service 0800 / 46 36 846. 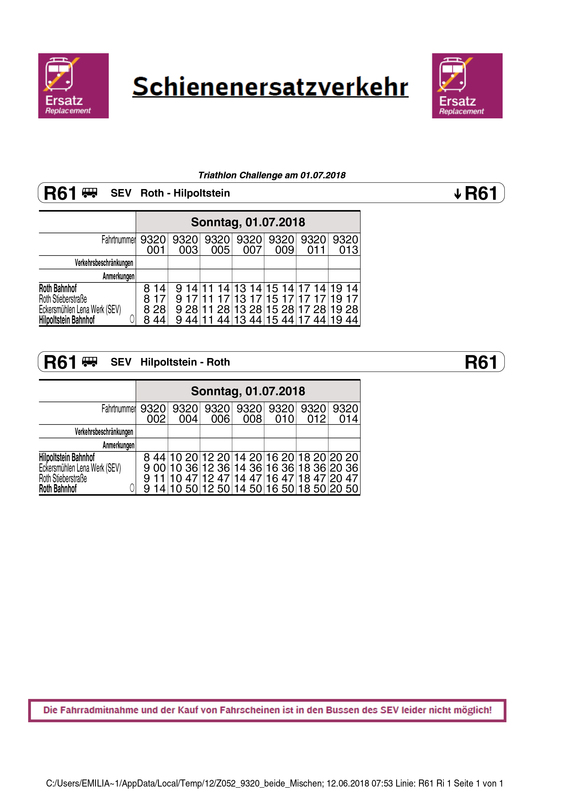 On raceday a rail replacement bus service is offered from Roth/Main Station via Roth/Stieberstraße (exit for Triathlon-Park, finishline area and transition area bike/run), via Eckersmühlen/Station (Fa. LENA (exit for bike course, Eckersmühlen beer mile) towards Hilpoltstein/Main Station (exit for bike course, Solar Hill).